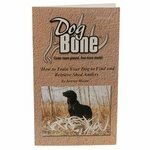 Dog Bone Shed Antler Training System. $34.99. Teach your dog to retrieve shed antlers -- works with virtually any breed! Restricted shipping. ONLY Available to U.S. addresses. 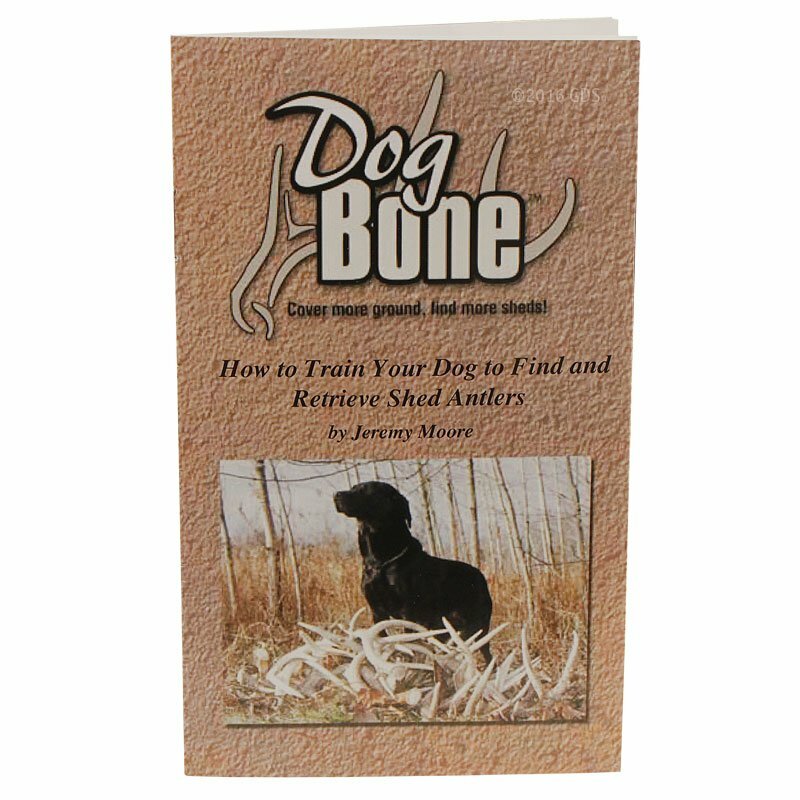 Use Dog Bone Retrieving Antler Dummies to avoid a "shed-shy" dog. 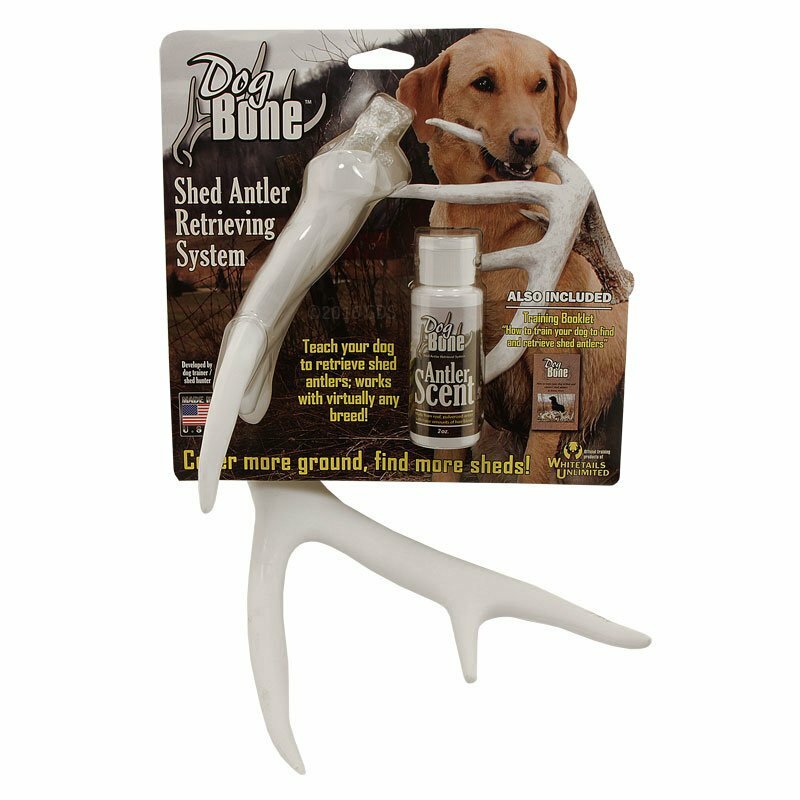 Add more realism with the included Dog Bone Shed Scent! 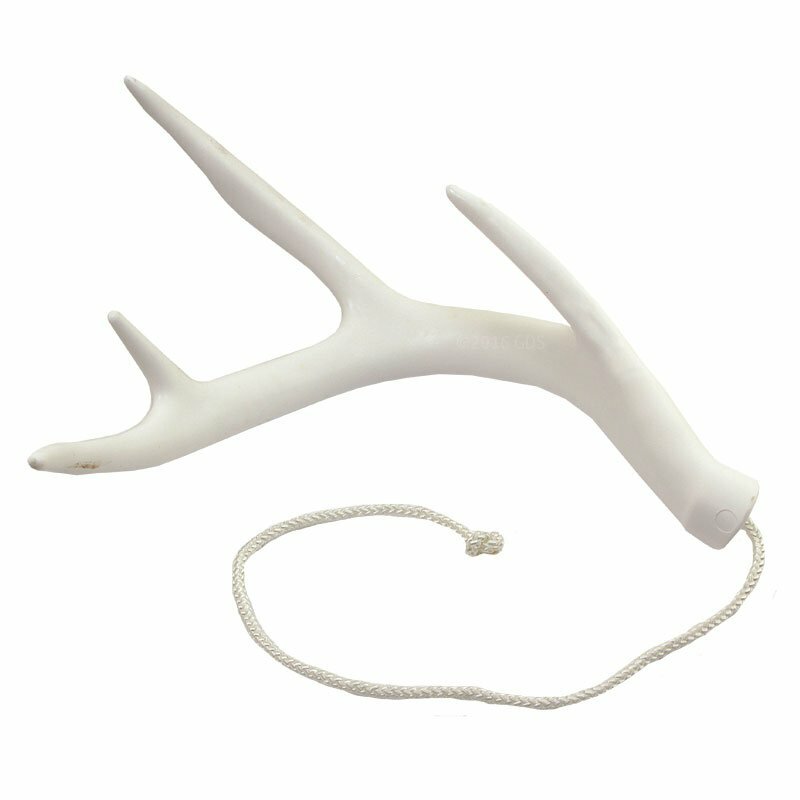 Condition the antler shape with the Dog Bone Retrieving antler. It's soft and familiar (same material as other dummies) and assures a positive first experience. 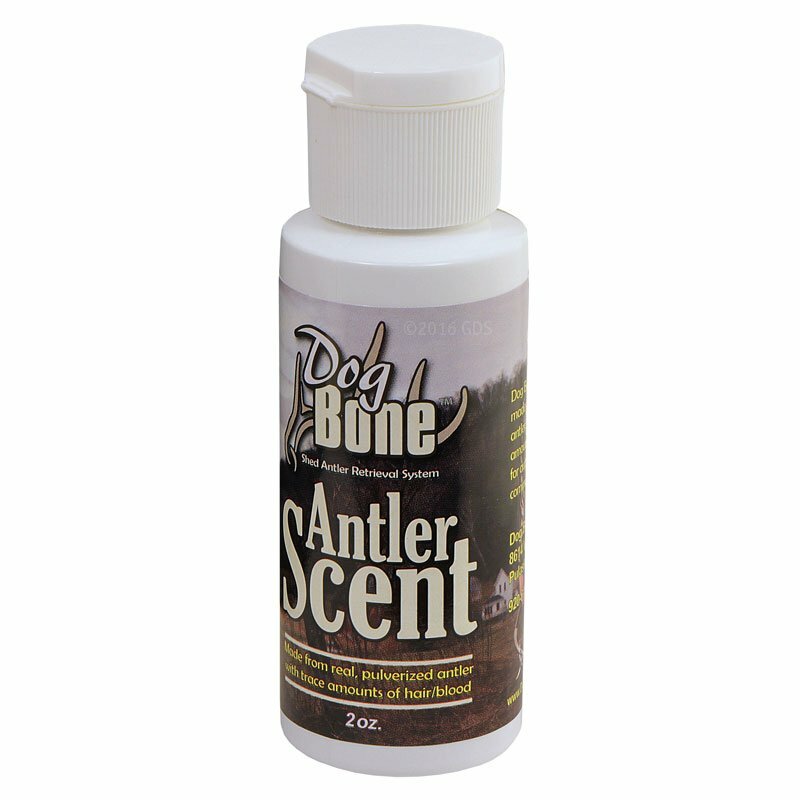 Teach scent by adding the included Dog Bone Antler Scent to the retrieving antler. 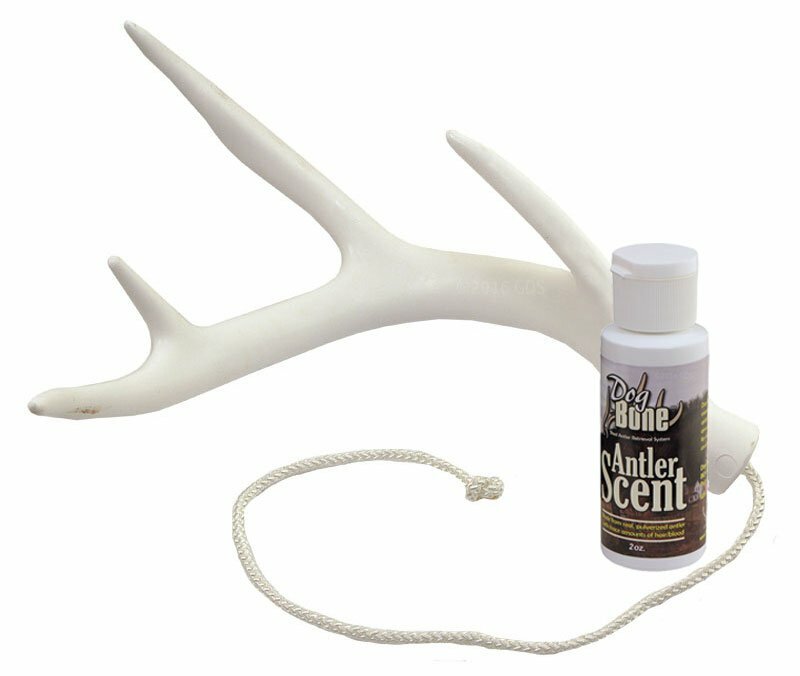 Replace the dummy antler with a real shed antler, adding the Antler Scent for familiarity. Use bright white antler dummies when introducing your dog to the antler shape to ensure success visually. Transition to brown dummies in the timber and cover to bring out your dog's natural game-finding ability (sense of smell) in order to get the retrieve. Dog Bone Real Antler Scent for Dog Training -- 2 oz.